ElectronicKitSchool. - This is one information update from electronic product news 2017 in this time with the article titled 20 Watt Chassis Mount DC/DC Converter for Railway / Transit / Industrial markets. 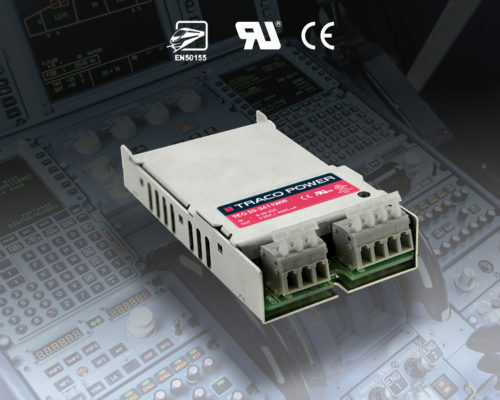 TRACO POWER has announced the release of their TEQ 20WIR family of isolated, high performance DC/DC converter modules with ultra-wide 4:1 input ranges covering 9-160 VDC input requirements, an extended ambient operating temperature range from -40°C to +93°C and I/O isolation of 3000 VDC and come in a rugged metal case. These converters are designed for the Railway/Transit markets and are also suitable for a wide range of Industrial applications where no PCB mounting is possible and the module has to be mounted on a chassis. These 20 watt DC/DC converters are design for railway, transit and industrial environments featuring a full load / convection-cooled operating temperature range of -40°C to +83°C (up to +93°C with derating). The TEQ 20WIR family consists of 12 standard models offering input ranges of 9.5~36 / 18~75 / 43~160 VDC and output voltages of 5/12/15/24 VDC. Features include: High efficiency operation up to 88%; EN55022 Class B EMI; I/O isolation of 3,000 VDC; under voltage lockout; protection against overvoltage/overtemperature and short circuit; and meet EN 61373 & MIL-STD-810F for mechanical shock & vibration and MIL-STD-810F for thermal shock. These converters measure a mere 4.06 x 2.25 x 1.03”. All models are safety approved to IEC/EN/UL 60950-1 (Industrial / ITE Applications), and are qualified to EN 50155 for Railway immunity and bear the CE Mark with a warranty of 3 Years. And now you read more about 20 Watt Chassis Mount DC/DC Converter for Railway / Transit / Industrial markets from original source using link HERE. The information which you have provide here is beneficial for me. Are you seeking to find out the option for Commercial Power Supplies services, then visit AHV.